I don’t know about you, but I’m definitely guilty of relying on the same 2-3 pairs of shoes throughout the week. 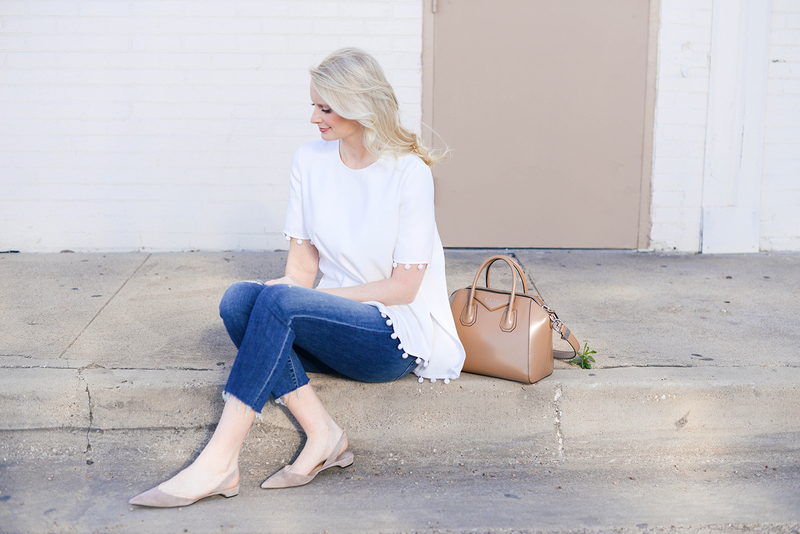 This time of year I generally start alternating between ballet flats and comfortable flat sandals, but I really wanted to throw a new neutral style into the mix this year for daytime wear. Something fresh, a little fashion forward, but ultimately something I could wear with anything and everything. Enter the Rhea flat. I first discovered Paul Andrew’s sophisticated collection when he was part of a trunk show that came to Dallas with several other designers years back. I don’t know why it’s taken me this long to invest in a pair! 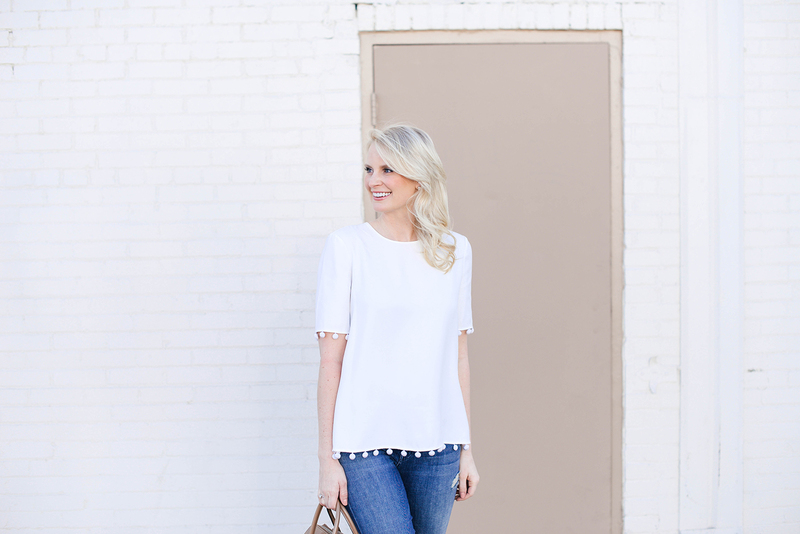 I love the ladylike simplicity of this style so much, don’t you? The flattering pointed toe and clean lines give the slingback look a refreshingly modern touch. 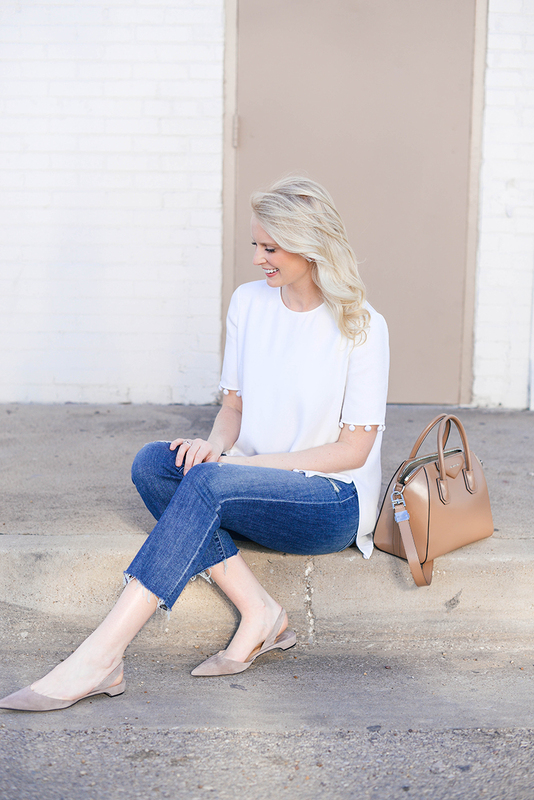 While I adore this taupe suede for pairing with my favorite wardrobe basics and spring/summer neutrals, these shoes also come in black, blue and hot pink. The perfect shoe for work, the weekend, or whenever! A couple other Paul Andrew styles to swoon over for spring include this flat espadrille and these simple-chic slides. 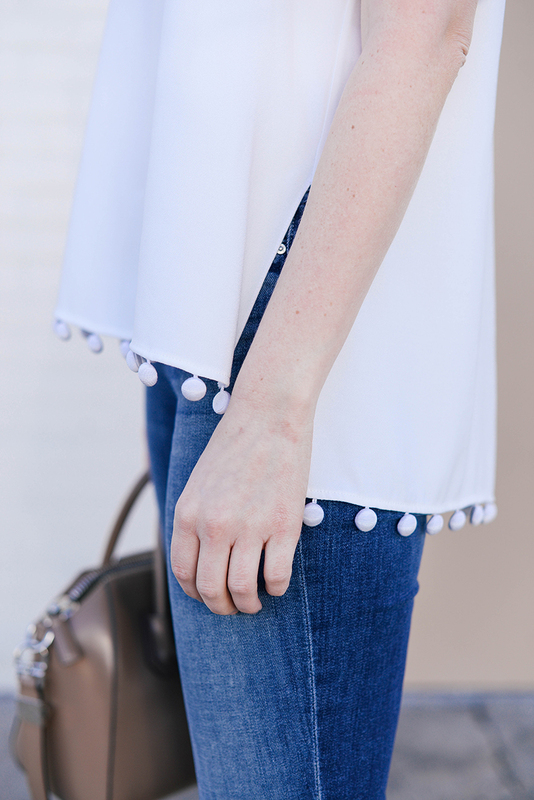 PS – how darling is this pom pom top? 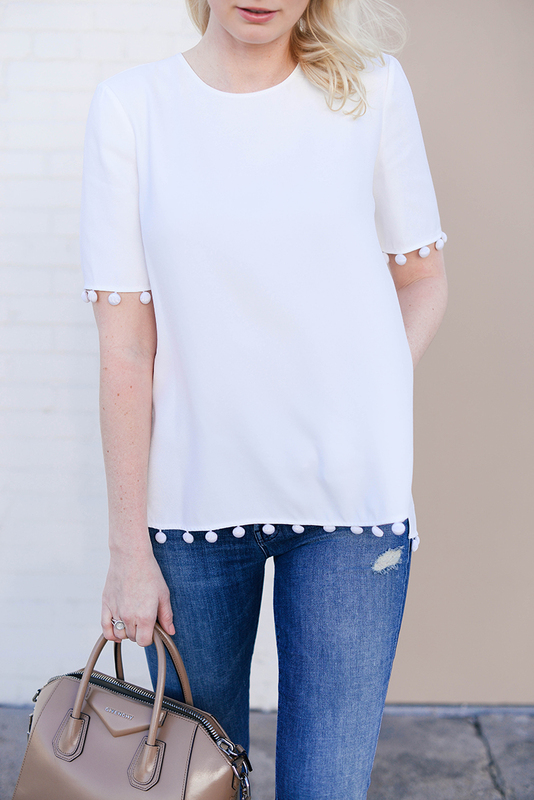 I generally feel like pom poms look pretty casual, but the grosgrain pom poms on this satin crepe tee dress it up in the most adorable way! Another fabulous statement staple to add to your wardrobe for the coming season. Adam Lippes is killing is right now – definitely be sure to also check out this ruffle cuff sweater, this playful pink number and this dreamy lace trim blouse. i adore these flats, right up my alley. I love the style and color of your flats! They’re so cute! Those flats are so delicate and pretty! 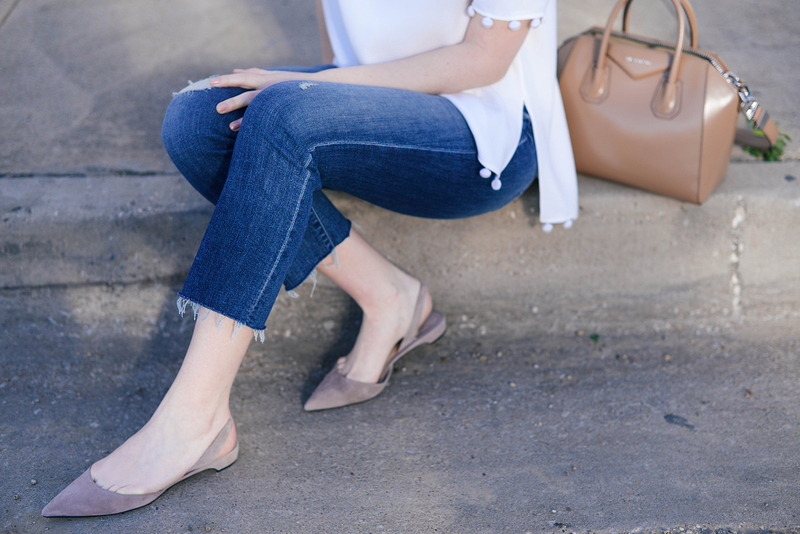 Love these flats! Such a cute look! I love everything about this look! Casual perfection at its’ best! !